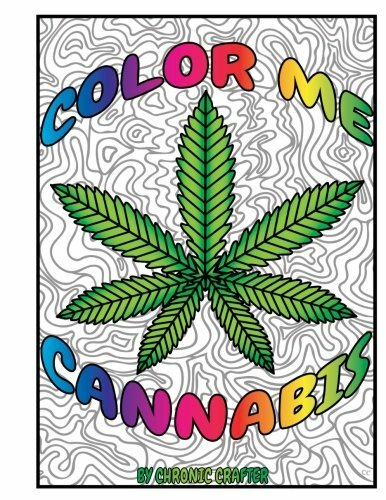 WANT TO COLOR SOME CANNABIS? Are you bored of the usual - get high, Netflix, and chill? How about get high and color? If this sounds good to you then I have the PERFECT coloring book for you. Let me introduce you to Color Me Cannabis! WHATS INCLUDED IN COLOR ME CANNABIS? You can color the cannabis plant, nugs, dabs and trippy designs! People who believe cannabis is a "terrible, gateway drug"
WHAT ARE PEOPLE SAYING ABOUT COLOR ME CANNABIS? HOW CAN YOU GET COLOR ME CANNABIS? OR you can purchase it from my Etsy store as a digital download and color some cannabis INSTANTLY! Q: What should I color with? Q: Are there any benefits to adult coloring? A: TOTALLY! Coloring helps you relax and relieve stress. It also helps train your brain to focus while improving your fine motor skills. Q: Do I have to know how to color or draw?